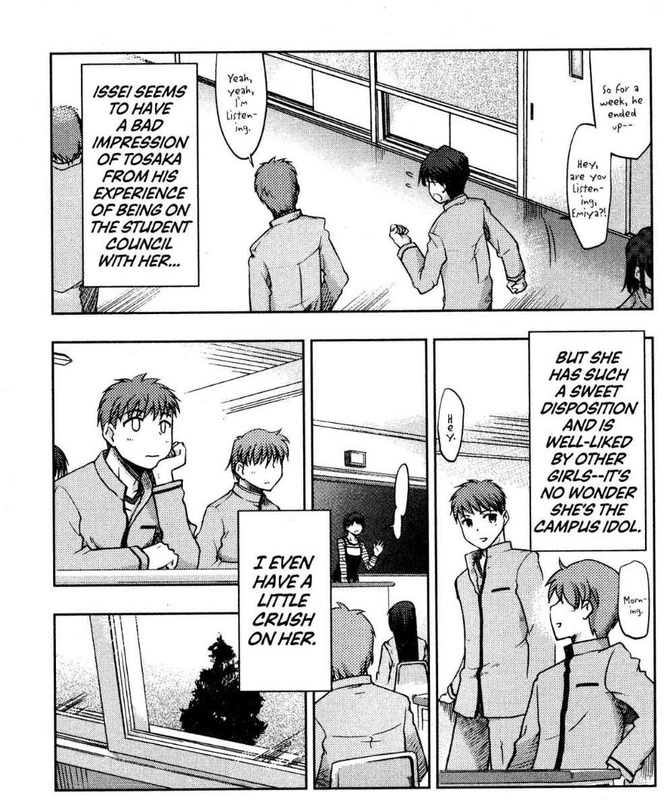 I'm reading the manga for Fate Stay Night, and there's a part on page 15 of chapter 1 where the speech bubbles are handwritten and rather than in the normal manga font. As you can see, this is only for speech, not for the other text boxes, and is only on this page. Other font styles (like bolded font) are used to indicate things like intense speaking, but it's not clear if this is supposed to indicate something like that. Is it? If not, why is just that dialogue handwritten? 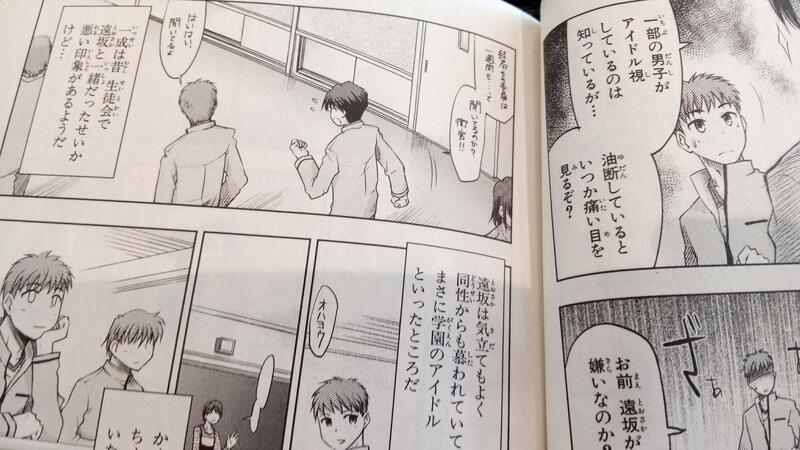 I read the VIZ translations and from what I can understand, the handwritten speech denotes 'drowned-out' dialogues. During this time, the character, Emiya, seems to be in an internal monologue. This is meant to tell the reader that the focus or the important parts were not on his 'drowned-out' (the handwritten ones) dialogues but rather on his internal monologue. This is also seen in an anime where the character is thinking to himself/herself. The scene around the character would have its volume lowered down (but still hearable) to give focus to what the character is thinking.